A couple of applications of designs done recently. 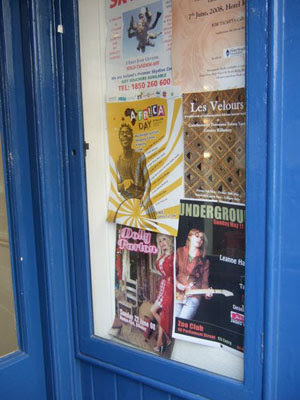 One is the poster for Africa Day in Kilkenny in a window display with Dolly Parton (!). 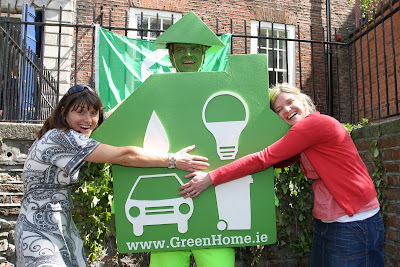 The other one is the logo from Greenhome.ie in bigger than life version! Posted by Alé Mercado at 6:07 p.m.